Amy Bigham has a huge shark phobia, but she loves the Discovery Channel’s Shark Week. The only thing that trumps it is her love for God, her family and teaching at Samford University. 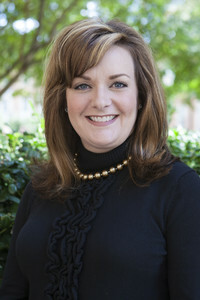 Bigham joined the Samford faculty two years ago, and since that time, she has participated in the development and implementation of CampUs. The weeklong summer camp experience for children with special healthcare needs was created by Bigham and fellow coworkers Jill Cunningham, Cyndi Cortes and Jane Holston and is funded through an academic initiative grant from Samford. "The camp’s name came from a child who complained that he never fit in with regular summer camp experiences, and he said that he was glad there was 'finally a camp for us'," she said. Bigham, whose favorite Scripture is Psalm 139, loves "teaching at Samford University because faculty are encouraged to nurture students through the learning process."